#1: Par 4 155 yards. GIR. Missed 8-footer for birdie. Par. #2: Par 4 160 yards. GIR. Missed 15-footer for birdie. Par. #3: Par 4 170 yards. GIR. Blew 25 foot birdie 7 feet past hole. Missed 7-footer. Bogey. #4: Par 5 225 yards. Bad drive. Topped 3W from fairway. Took 4 to get on green. Missed 12 foot par save. Bogey. #5. Par 4 115 yards. Missed green, chipped birdie attempt to 5 feet. Made 5-footer. Par. #6: Par 4 180 yards. Missed green, chipped birdie to 6 feet. Missed 6-footer. Bogey. #7: Par 3 75 yards. GIR. Lagged 35-footer to 3 feet. Par. #8: Par 5 225 yards. GIR. Missed 14-footer for birdie. Par. #9: Par 4 160 yards. GIR. Missed 12-footer for birdie. Par. Final score: 40 (Par is 37). He has scored under par multiple times in USKG tournaments and practice when he was 6, but he has not done that in either practice or tournaments as a 7YO yet (he's 7.5YO now). He's usually pretty good at leaving it within 18 inches if he misses a birdie putt from 20 feet and in, but does sometimes leave those 3 foot knee knockers for par. What do you guys do to help teach the ability to score? Do I need to take him to easier (flatter) courses? Or I guess just practice putting more? Or much ado about nothing and just keep at it? Your son is still young and you probably heard this a lot but it is true. Practice putting and work your way back from the hole. Score may be higher but in a few years it will pay off. If you confident in putting it really helps lower the score when they are older. I'd quit worry about the score at such an early age and make sure he has fun. He definitely has fun and we have a good time on the course or practice (which always includes games). I'm just here trying to build his game via an "under current" of good habits and mental attitude. Appreciate the input. is he hitting the put on his true line? is he opening or closing the face at impact? Try the tee drill that will show you real fast if he even starting the ball on the right spot. When I do this with my 7 year old daughter its an eye opening, how often they can pull or push putts which will lead to misses. We even used things like the putting tutor to get an indication of face path. Speed another game all together. For her we use her toes for most putts, big toe, pinky toe, big foot super big foot. Its silly put it helps teach speed to younglings. Question is how and why is he missing? You may want to temper your expectations on putting and work on proximity to hole. Good point, There is no such thing as 100% putting, your looking to expand the distance they can be confident and make a putt. If they can make 80-90% putts within 6 feet they are excellent putters and you shouldn't expect more. Once you confident in putting move back to chipping and make sure they can place it in that circle. Yeah, we've done the tee gate drill before. I also have a 3 foot metal ruler that I have him putt on also sometimes (been a while). His speed is good most of the time and we use swing keywords of "rhythm" and "clock" for him to think about hitting the correct speed of the putt. Certainly, he's not hitting his putting line and/or he (or Dad) is not reading the putt properly. We have the "PING Putting App" on an old iPhone that I used before to see what his natural swing path is for putter. He is somewhere between slight arc and straight-back-straight-through all of the time. Perhaps I will break that thing out again and see how is putting stroke looks. We are in exact same boat , same age and everything. I know for certain his putting has gotten worse - he just doesn't drain as many of the birdie opportunities. Mostly his alignment is jacked and he rushes. I dont think its uncommon , I've seen it in scores of other kids who had moved up age/distance before us- The 7 yo USKG tees are still kind of DCP for a lot of the better kids, but the approaches are typically longer - even iff they go from 1/2 SW approach (6u) to Full SW or PW (7) on most par 4's their proximity to hole is bound to be further..which equals less birdies, more room for error, etc. Par 3's are more legit now - usually a 8-6 Iron, whereas before it was rarely more than PW. He also doesn't birdie near as many par 5's as before when he would almost always reach them or near them in 2. Part of our problem is also that I've made an effort to dis-involve myself- mostly let him read his own putts now, don't correct him as often when he is set up wrong, etc. He is learning to own his mistakes, surely at the expense of a few strokes, but short term pain for long term gain hopefully. Proximity would certainly help. I'm going to switch to the Chrome Soft balls (from Wilson Duo) I have on-hand for his next 9-holes to see if we can improve that with the better spin/stopping power. Those Wilson Duo 29 compression balls just don't stop, but becoming accurate with the SW and P from 20-50 yards is certainly a skill that must be honed. I get where you are coming from, I love analyzing rounds and looking at scores to understand what went right for my son's round or did not -- away from the obvious. Looking at his round..hole 3 is the glaring stroke lost on a 3 putt (it could be a really easy or hard initial putt so that you need analyse) and then a couple of 6-8 ft putt where the average is like 60-70%. He hit all the drives and 6 out of 9 GIRs .. could not ask for more, except maybe did the ball go where you wanted it .. i.e flag is in front you wanted to play short but you end up back of the green; To me, yes he made a GIR but it is still something we talk about after the round. For the last few months, i have worked with my son on 3, 6 and 8 ft putts..it is amazing how much better and confident he feels over long putt cause he knows he will barely 3 putt. FWIW.. my son can't see to score as well.. so in a round I ask him to focus on hitting good shots and the score will take care of itself. It might be worth working on some speed drills to hit the driver further as well. I remember as a late 7 my son was driving or coming very close to driving par 4's. Par 5's would be a driver and iron to get on in two. His best round in the 7's was a 31 (-5) and I remember him having a few two putt birdies. It goes without saying that putting is extremely important to score. Of course, proximity to the hole goes hand in hand with this. Both these areas get a bit easier if you can bust the ball down the fairway and have a short iron in. Yeah, I like to analyze the round afterwards also. Hole 3 with the 3-putt was bad. Hole 4 (225yd Par 5) he hit a poor drive of only about 100 yards and then topped his 3W from the left primary rough (not deep and ball sitting up) another 50 yards. Those two holes pretty much did it. Reality is I felt bad for him because he hit a lot of great shots because our home course is hilly and a drive in the fairway can still leave you with the ball above/below your feet and other awkward type lies. He needs a Gap Wedge but needs to grow another 1/2" or so before he is ready to move into a TS-51 set I have for him that has one. I see a lot kids make 10-15 ft putts including my own kids in about 20-25% of the time. If you can't do this your not going to make birdies. It's a tall order for a 6 year old but should not be a problem by the time there 11 or 12. I see lots of kids who drive almost to the green and chip great but do lots of lags putts which results in a few holes that 3 putts they almost always lose to a short hitter who makes 15 foot put birdies on 2 or 3 holes. Love it. I’m gonna have to try that. I’ve been trying other visuals to help with distance, but the toes are right there! Did you notice a tendency towards a more arced stroke when they start focusing on toes? We are all going pro. There’s no time to ease up. At his age he is probably more interested in the flora and fauna on the golf course than in scoring. Worked on the putting a little bit this week. Shaved a couple strokes. Need to work on pitching/chipping and getting proximity to the hole as suggested earlier. #1: Par 4 155 yards. Missed green. Chipped way past hole (worm burner). Missed 35-footer for par to 5 feet. Made 5-footer. Bogey. #3: Par 4 170 yards. GIR. Made 12-footer for birdie. Birdie. #5. Par 4 115 yards. Missed green. Chipped birdie attempt to 5 feet. Made 5-footer. Par. #6: Par 4 180 yards. GIR. Missed 14-footer for birdie. Par. #7: Par 3 75 yards. Missed green. Chipped to 12 feet. Made 12 footer. Par. #8: Par 5 225 yards. GIR. Missed 20-footer for birdie. Par. #9: Par 4 160 yards. GIR. Missed 25-footer for birdie. Par. Final score: 38 (Par is 37). Certainly getting steadier. He has not shot a round under par yet from 7YO yardage on our home or any course, but he is so close. Holes #1 and #4 really hurt the round....especially #4 where it wasn't that hard of a chip from just off the green and a good one could have gotten him a great look at birdie. On the other hand, he made a couple nice up and downs for par. It seems hard to find a way to practice those 20-50 yard pitch shots. Our driving range doesn't have those baskets to chip/pitch into and our chipping/pitching green kind of has a way to get that range but it is always so busy (green/area kind of small). I guess we just need to head out on the course late and hit a dozen balls into each green. One thing for sure, the Callaway Chrome Soft is a nice spinning ball for him. It's night and day with the stopping power compared to the Wilson DUO although that was a great ball for him as a 6YO. 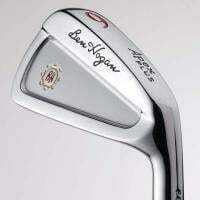 Like others have seen with wedges, I do see the Chrome Soft ride up the P or SW (UL48's) when hitting full P/SW shots. Perhaps may need to test out another ball like the Srixon Q-Star next to see if the same. Currently, it is Star Wars as he has now seen episodes IV, V, and VI. Our golf cartwas the Millennium Falcon today. Amazing, it can go light speed. Who knew? He finally did it today and got under par at our home course The Bridges. All pars and two fantastic shots on the par 5's did it for him. So proud of him as he has been working on his new TS51 irons for the last two weeks and adjusting to them. 7 out of 9 GIR and great putting as the longest par putt was his last one at 4 feet. #3: Par 4 170 yards. GIR. Missed 25-footer for birdie (oh so close). Par. #4: Par 5 225 yards. GIR. Terrible drive about 100 yards and right. So-so 5W recovery shot from deep rough. 8-iron from 71 yards to 4 feet. Birdie!! #5. Par 4 135 yards. GIR. Missed 18-footer for birdie. Par. #6: Par 4 180 yards. Missed green. Great birdie chip attempt to 3 inches. Par. #7: Par 3 90 yards. GIR. Missed 25-footer for birdie. Par. #8: Par 5 225 yards. GIR. Great drive. Awesome 6-iron over canyon and greenside bunker into the wind from 80 yards. Missed 12-footer for eagle. Tap-in birdie. #9: Par 4 160 yards. Missed green. Good birdie chip attempt to 4 feet. Made the par putt coming back. Final score: 35 (-2) --- (Par is 37). That’s great, congrats to him (and you)! Not quite sure what my son did saturday during a practice round, but he shot a 29 (-7). A friend drove him in the cart and kept score while I was tending to my daughters so I didn't see much of it except the chip in eagle on 8 and chip in birdie on 9. He goes out yesterday for a tournament and shoots a 37 on the exact same layout. Maybe I need to quit caddying. Who knows, we’ve had some really good rounds when I have been nothing but a bag mule ...and some really bad rounds where I knew If I jumped in I could undoubtedly help. It certainly feels better to know they did it (mostly) on their own when they go low without you though! One of my main goals going forward is to get him to club himself. We play mostly US Kids (other options scarce), so there isn’t much clubbing in their setups, it’s a driver -wedge on 95% of par 4’s....not a ton of strategy or question unless there is a major hazard off tee . As we get to longer yardage’s, I want him to figure distance and club himself- something I can’t help with if I am truly in the sideline. 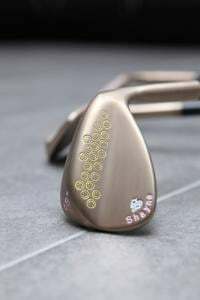 We saw some of this in PGAJL this year, it was actually kind of comical to see our group (all 7 YO’s) “guess” their clubs. It the pressure of a tournament round. The have to learn to deal with it. Stuff just happens in tournaments you can’t control like weather delays or worse stuck With other players who are slow or take 10 shots a hole and then get an over zealous official who sticks around yelling at the kid to speed up and then and they blow up a hole from rushing. Who knows, we've had some really good rounds when I have been nothing but a bag mule ...and some really bad rounds where I knew If I jumped in I could undoubtedly help. It certainly feels better to know they did it (mostly) on their own when they go low without you though! One of my main goals going forward is to get him to club himself. We play mostly US Kids (other options scarce), so there isn't much clubbing in their setups, it's a driver -wedge on 95% of par 4's....not a ton of strategy or question unless there is a major hazard off tee . As we get to longer yardage's, I want him to figure distance and club himself- something I can't help with if I am truly in the sideline. We saw some of this in PGAJL this year, it was actually kind of comical to see our group (all 7 YO's) "guess" their clubs. Yeah, them picking a club can be interesting. That's one area where I still interrupt especially when I know the young jedi has not chosen wisely. From there, I've been letting him execute the shot. I need to take him to a course we haven't played or don't play often so that he gets different looks. Have you tried backing up to 8YO yardages? Sometimes we do that or sometimes I will have him play the forward (green in our case) tees on some holes where a par 4 is 300+ yards. If we are doing the true "practice round" instead of a "simulated tournament round" for score, we end up hitting a half dozen balls into every green as we approach it from various yardages. Of course, can usually only do this in the later twilight.